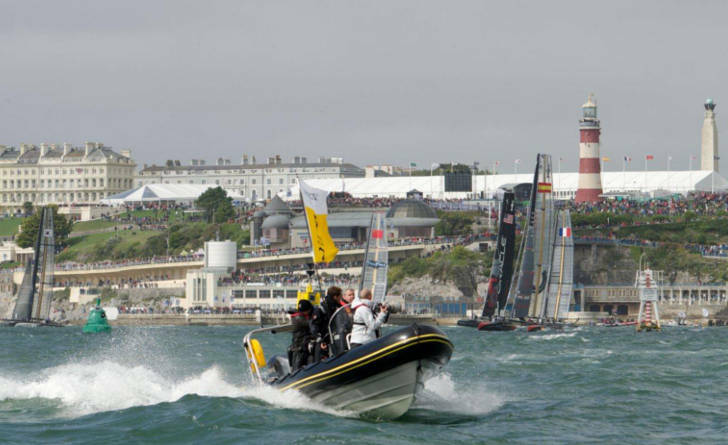 The America’s Cup World Series is heading to Portsmouth this July and WE have ‘on the water’ spectator hospitality packages to offer YOU. Watch the Uk’s Ben Ainslie Racing team and 5 other international entries take to the water in a series of short fast races. The AC45 foiling catamarans will literally be flying around the race course. We have a range of options available, from sleek powerboats offering raised fly-bridge viewing platforms and luxury yachts to racier yachts for a more hands on sailing experience before watching the racing. We can also offer the only Ribs able to access the most exclusive viewing area right on the edge of the race circuit.